In previous posts, we discussed possible causes for lighting problems such as unexpected dimming and repeatedly burned out bulbs. In this week’s post, we’re going to talk about yet another common problem: flickering. Sometimes flickering can be fun and decorative, such as in these flicker flame chandelier lights, but in most cases it is undesirable. While flickering isn't often a cause for alarm, it is always best to make sure it's not part of a larger issue. Below are common reasons for flickering bulbs and which ones you need to be worried about. Certain types of lighting technology are naturally more prone to flickering than others. For example, flickering sometimes occurs in fluorescent lights within the first minute or so of turning them on as the phosphors reach peak illumination, or when the bulbs are connected to a failing ballast. It is also possible for LED lights to flicker when improperly connected to a driver or with certain dimming systems. Neither indicates a serious electrical issue, but you may want to replace your lights if the flickering gets too annoying. The simplest reason your light bulb is flickering is because it was screwed too loosely into the socket. For many kinds of lights it may seem like a no-brainer to check for this, but for recessed lights or other fixtures in which the bulb is unexposed, it might come a little less easily to mind. Before you check for this issue, make sure to turn off your light and put on a heavy duty glove before grasping and tightening your light bulb as it’s likely to be very hot, especially if it’s been on for a while. If your light bulb continues to flicker after you’ve done this and turned the light back on, your problem lies elsewhere. Another reason your light could be flickering is because the light switch isn’t properly connecting with the bulb. Try toggling your light switch on and off or shutting your light off for a while and turning it back on. If the problem fixes itself, you’ve found your culprit. If you consistently need to do this to keep your lights from flickering, it would be best to replace the switch. If your lights flicker when you turn on an appliance with a high wattage, the reason could be because the voltage in your home is fluctuating too much. If the flickering lasts longer than the use of the appliance, this could be a symptom of a more serious electrical issue. Other signs that the voltage in your home isn't right include lights that dim unexpectedly or that frequently burn out. Electricity typically flows into homes at around 120 volts. Although a little fluctuation is normal, your home should always be supplied with between 115 and 125 volts. You can check the voltage in your home by purchasing a device called a voltmeter. If your readings average above the desired range, you’ve found the cause of your lighting problem(s). 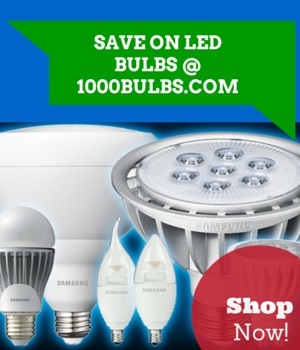 In some cases, an appropriate solution is to purchase 130-volt light bulbs which can handle a higher voltage. However, it is always best to double check with an electrician. Loose wiring is the most serious reason for flickering lights and a main cause of house fires. Shut off the light at the circuit breaker before removing the fixture to double check the wiring. If the fixture looks like it might be loose or insecure, it’s time to call an electrician. And even after this, if you still haven’t found a reason for your flickering lights, call an electrician to evaluate your home's electrical wiring to be on the safe side. It’s never a good idea to ignore a lighting or electrical problem. If you notice your lights flickering, always investigate, and if you can’t find the culprit or the problem persists, call an electrician. Do you have a problem with flickering lights that could be caused by something other than what’s listed here? Tell us in the comments or let us know on Facebook, Twitter, Google Plus, LinkedIn, or Pinterest!